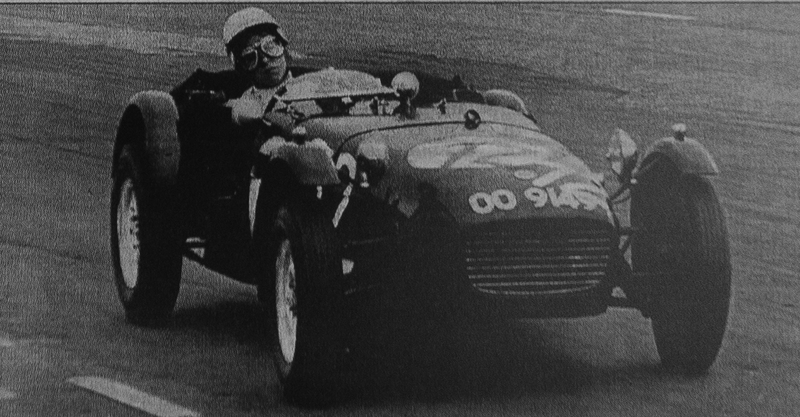 Series 2 Lotus Seven, Piers Courage first race car. The Lotus Seven is one of the most iconic club sports cars of all time. Many racing greats have piloted a Seven at one time in their career. The uncomplicated design of the Seven combined with superb handling and power to weight ratio add up to a real advantage on many tracks. Neil Wakeling’s 1962 Lotus Seven featured here is a fine example of an early Series Two car powered by a British Leyland A series engine. 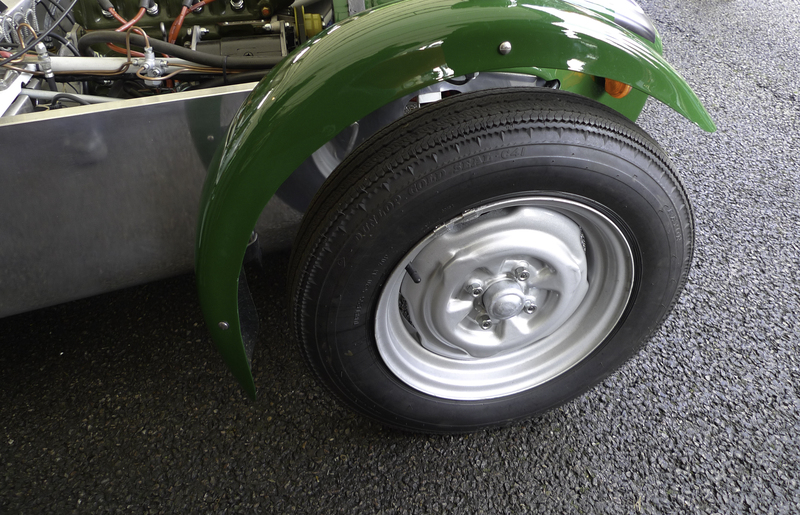 Finished in traditional British Racing Green with bare alloy panels, the car embodies the classic look of a 1960’s racer. 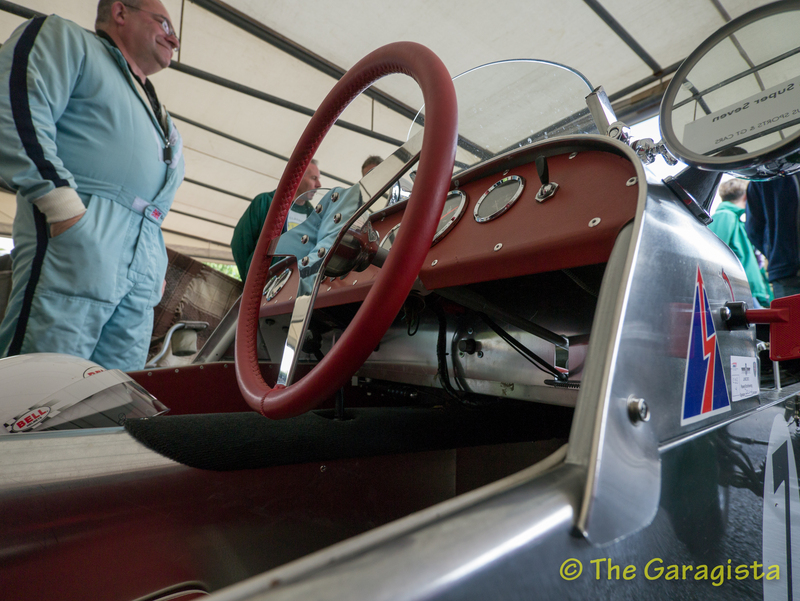 This particular Seven (SB1347) was once owned by British Formula One drive, Piers Courage. It was purchased as a kit from Lotus in 1961 by Piers’ father and as the story goes, assembled by Piers and his friends. Courage raced the Seven through 1962 and then sold the car later that year. The car was bought, sold and modified a few times through the 1960’s then and sold to Phillip Smart in 1971. Smart used the car for sand racing through the mid 1970’s until the engine expired, when he then parked the car in garden shed where it stayed until 2009. Wakeling, the current owner and driver got word the car was for sale and struck a deal that rescued the remains from the garden lock up. He spent the next year researching car’s history and confirming the heritage through the Lotus registrar. Don Gin, the owner immediately after Courage also provided invaluable data and history on the car. 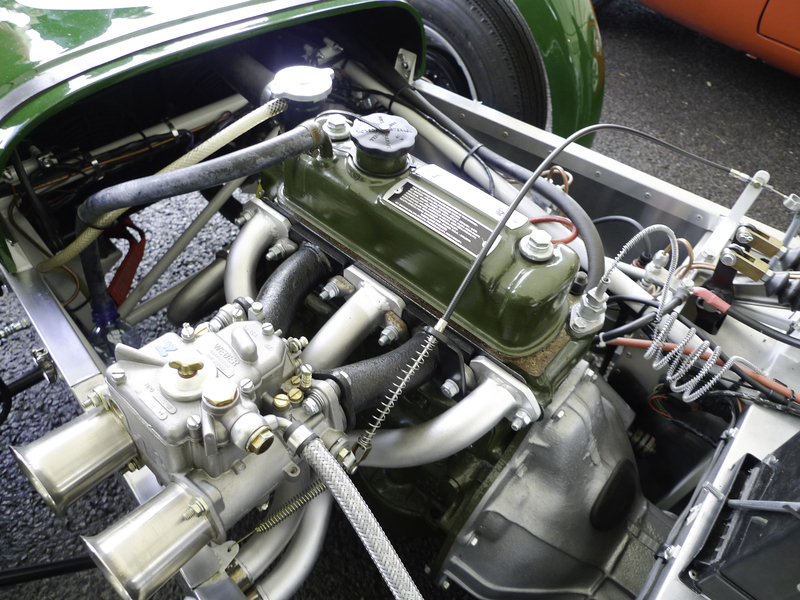 Lotus Seven specialist James Whiting of Middlesex England completed the restoration over a two year period. 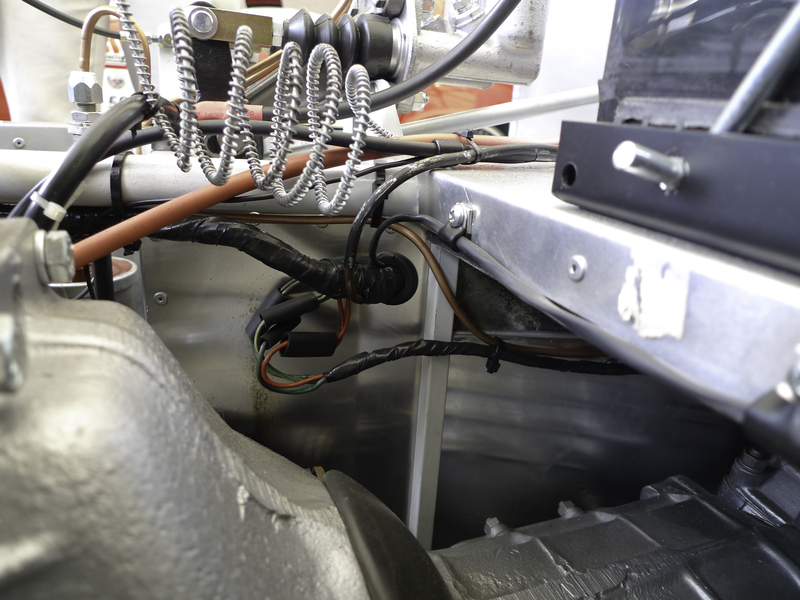 Extensive work was required to complete the restoration with many of the chassis pieces requiring replacement after sitting for years filled with sand and salt. 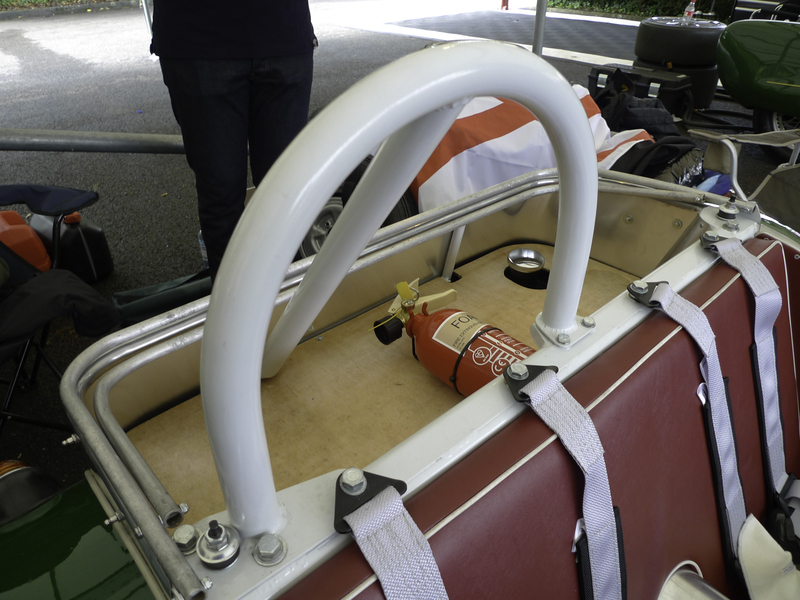 Significant pieces like the suspension and fuel tank were actually fine and were reused on the car. Amazingly the dash and instruments were also there in complete form along with several boxes of original parts. A series powered Lotus Seven. 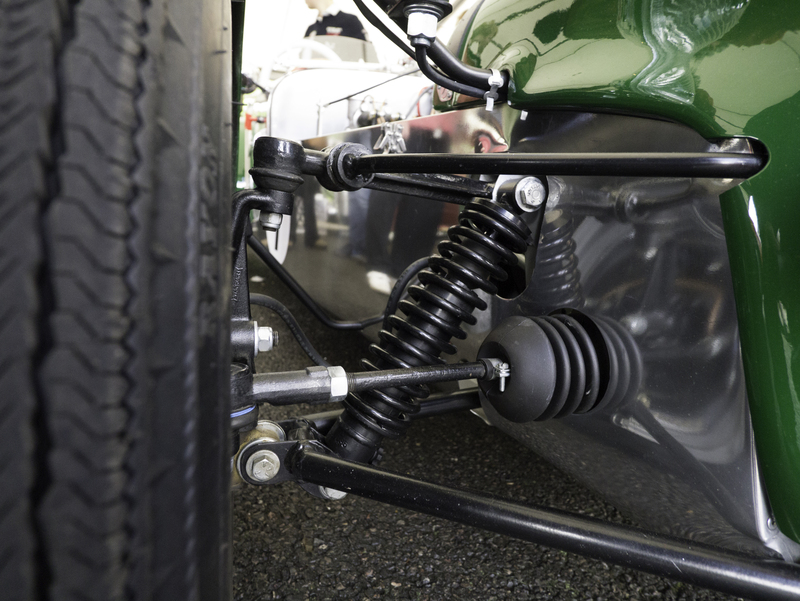 Lotus Seven suspension was advanced for the day. Period correct Dunlop Gold Seal C41 5.20 x 13 tires. 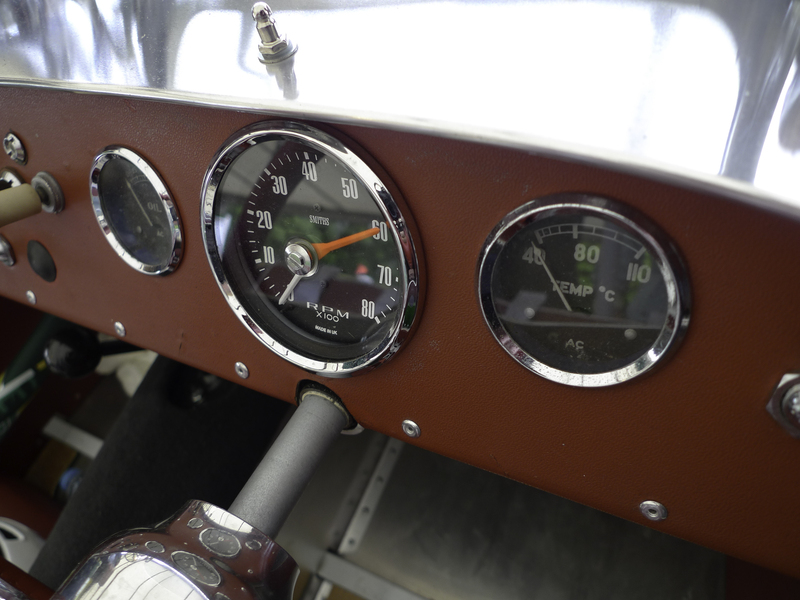 Original functional dash and gauges. 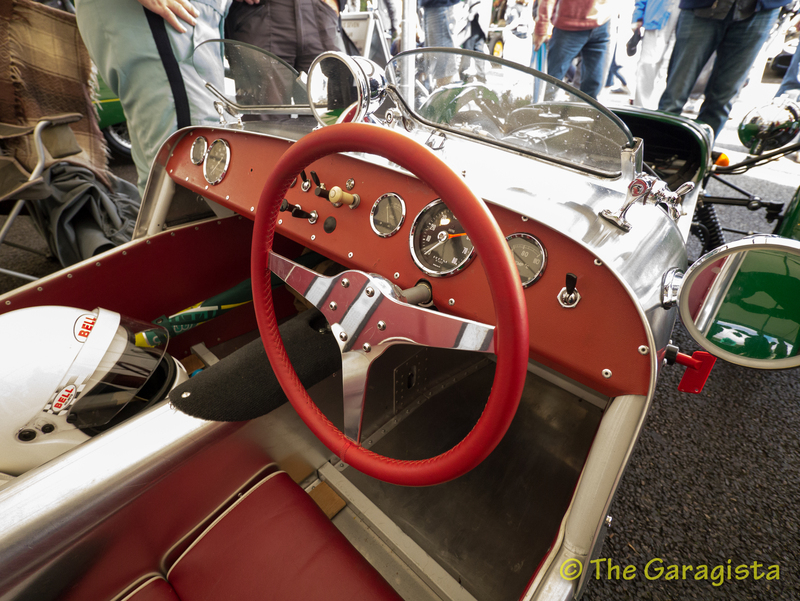 Classic Lotus red leather steering wheel looks at home in the Seven. Owner, Driver Neil Wakeling looks on as he prepares to run up the hill. 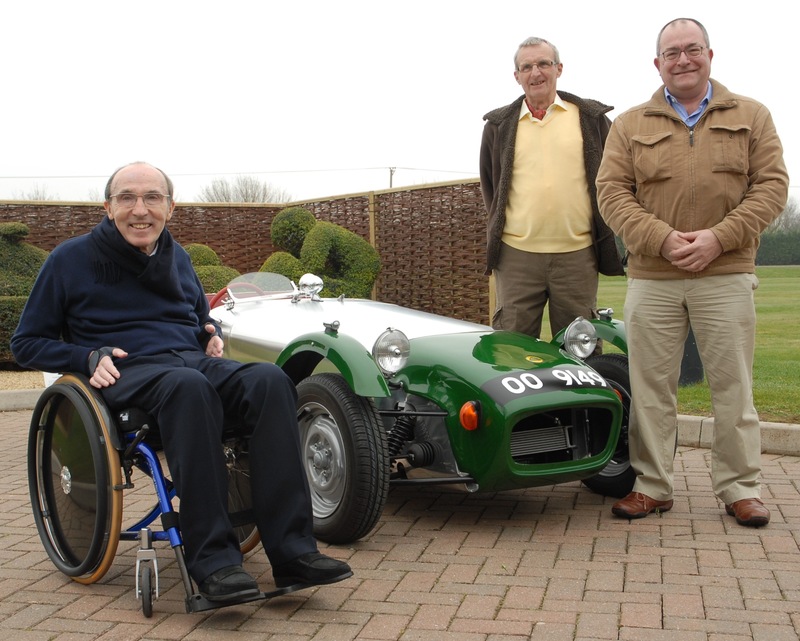 Sir Frank Williams (Williams F1) displayed a keen interest in the restoration of the Courage car. You see, Williams and Courage teamed up in the 60’s with Courage driving for the Williams F2 team. When Frank Williams Racing decided to step up to F1 in 1969, Courage was preferred choice for driver. Naturally Sir Frank wanted to see the car firsthand resulting in an invitation to the Williams F1 factory for Wakeling, Gin and of course the ex Courage Lotus Seven. Fittingly, the car was christened at the Williams factory where it was driven around the grounds in style. Sir Frank Williams, Don Gin and Neil Wakeling pose at the Williams F1 Factory. Wakeling charges hard into turn one at the 2012 Goodwood Festival of Speed. Neil and his Lotus were invited to the Goodwood Festival of Speed this year to help celebrate the 60th anniversary of marque. Neil charged up Lord March’s driveway hill climb several times in the Seven, performing with as much gusto as it did 50 years ago for Piers Courage. 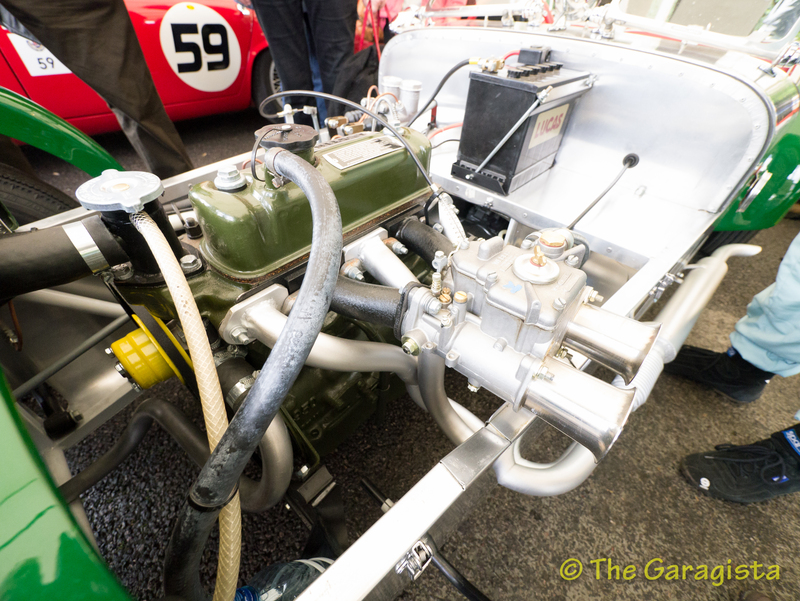 Gallery | This entry was posted in Lotus, Lotus Seven and tagged Classic Team Lotus, Colin Chapman, England, Goodwood Festival of Speed, Lotus, lotus 7, Lotus seven, Super Seven. Bookmark the permalink.